Handrail Tactile Indicators Product Archives - DTAC Buy Online Now! DTAC Handrail Tactile Indicators (HRTI’s) combine a high quality product that assists the visually impaired safely negotiate stairs by indicating where a handrail and stairway ends. 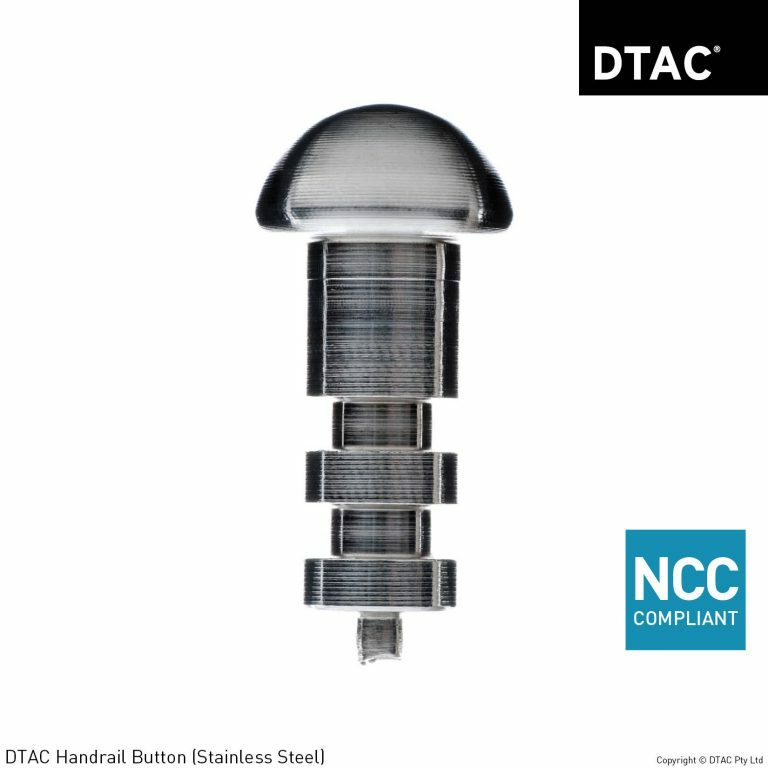 Manufactured in 316 marine grade stainless steel, the DTAC handrail button has been designed to meet the requirements of AS 1428. HRTI’s also help to deter and prevent unwanted “grinding” damage from skateboards, rollerblades and BMX bikes.